Sun and clouds mixed. High 78F. Winds SSW at 5 to 10 mph..
Mostly cloudy skies. Low 56F. Winds light and variable. Every year, the Diabetes Foundation of Mississippi selects two “Women of Excellence” to honor at the Ultimate Fashion Show. The honorees are known for blazing a trail in their career paths and passionately pursuing the betterment of their communities. One of the recipients this year is Robin Robinson of Laurel. She is a graduate of the University of Southern Mississippi and has recently retired after 40 years at Sanderson Farms. There, she has paved a trail for women serving in leadership positions within the company and the industry as a whole. From her first day of work, Robinson made history by being the first woman hired as cost accountant, and she later became the company’s first woman to serve as chief accountant, chief internal auditor, manager of human resources and even the first woman to serve on the company’s executive committee. She has been selected as one of America’s 2,000 Notable Women and received numerous other honors, including Mississippi’s Top 50 Most Influential People, Mississippi’s 50 Leading Business Women, Most Distinguished Alumnae Award of Phi Theta Kappa, Volunteer of the Year for the Economic Development Authority and Outstanding Leadership Award from the International Women’s Leadership Association. Candie L. Simmons of Ridgeland is the other honoree. 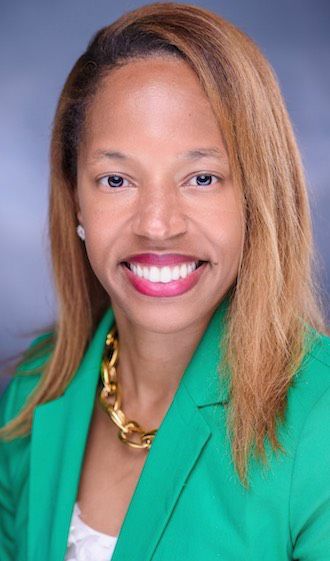 She is a senior vice president in marketing at Regions Bank, covering South Mississippi, Alabama, Louisiana and Texas. She is a graduate of Ole Miss and started her career as an admissions counselor at her alma mater before starting a career in banking and quickly climbing the ranks.